Any literature from the typical car insurance company emphasizes the importance of road safety. The executives at such companies realize that use of seat belts needs to be seen as an important component of such safety issues. 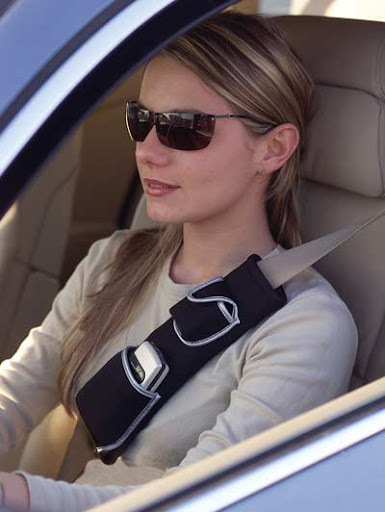 Still, a number of adults drive around without the added safety of seat belts. They simply refuse to "buckle up." That fact explains the thinking behind a promotional campaign, a campaign conducted by one car insurer. The most important details about that promotional campaign have appeared in a magazine published by one insurance company-Geico. Their Fall/Winter 2009 issue invites young people to win an added bit of cash. That cash goes to the winners of a planned contest. The article referred to in the above paragraph offers information about an ongoing poster and video contest. Each of the contest entries is supposed to highlight the insurance of safety that a driver enjoys, whenever he or she uses a seat belt. The same article includes pictures of the winning posters in past contests. During an earlier contest, judges had been impressed with the entry from Brandon Kim. He had used his artistic skills to create a caricature, the depiction of a family riding in a car. Moreover, he had put that family in the safe embrace of two arms. In large letters above that car, he printed these words: "Buckle Up." A phrase placed below that car said, "Be Safe." The thin publication with his winning entry shows Kim's smiling visage as well. Another picture in the same publication offers a glimpse at one of the top computer generated posters. However, not a single picture reveals just what the judges hope to see in a video presentation. After all, the year 2009 is the first year for inclusion of that category. While contestants lack the example of a winning video, those contestants can still win praise from many car insurance agents. The entries submitted by those contestants can demonstrate their growing appreciation for seat belt safety.